Welcome to the Cannon Welding web site. Our professional welders provide high quality services for commercial, industrial and residential applications. We offer wrought iron and ornamental welding. No job is too large or too small. Cannon Welding welds many metals including: aluminum, stainless steel and cast iron. 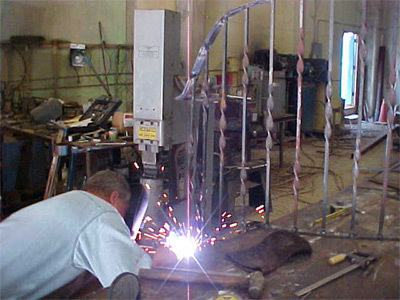 We specialize in a wide variety of welding styles such as: arc and heliarc welding. This expertise allows us to provide you with top quality maintenance welding, along with steel, structural and custom fabrication. Cannon Welding can come to you! For your convenience, we offer portable welding services, with some same day services. If you have any questions regarding our company please feel free to call or email us and one of our staff members will get back to you promptly.